Autumn is one of our favorite seasons in Fort Collins: the sun still brings some heat through the cool breeze, the colors of the leaves change, and the whole town celebrates at various seasonal events and parties. Before we know it, there will be snow on the ground – but prior to begrudgingly slipping into winter, there are a great many pumpkin-spiced beers to imbibe, leaf-peeping Poudre Canyon drives, and Halloween candy to be had! For many reasons, we’re simply smitten with autumn and the great many fall activities in Fort Collins. Imagine this: you’re walking out of your Confluence loft to meet your friends at the Elizabeth Hotel for a show at Magic Rat. As you walk the short distance it takes to get there, you enter a beautiful alleyway off of Linden and Firehouse Alley, and what do you see? A gorgeous mural! Since you’re new to town, you had no idea there was public art gleefully spread across the city. 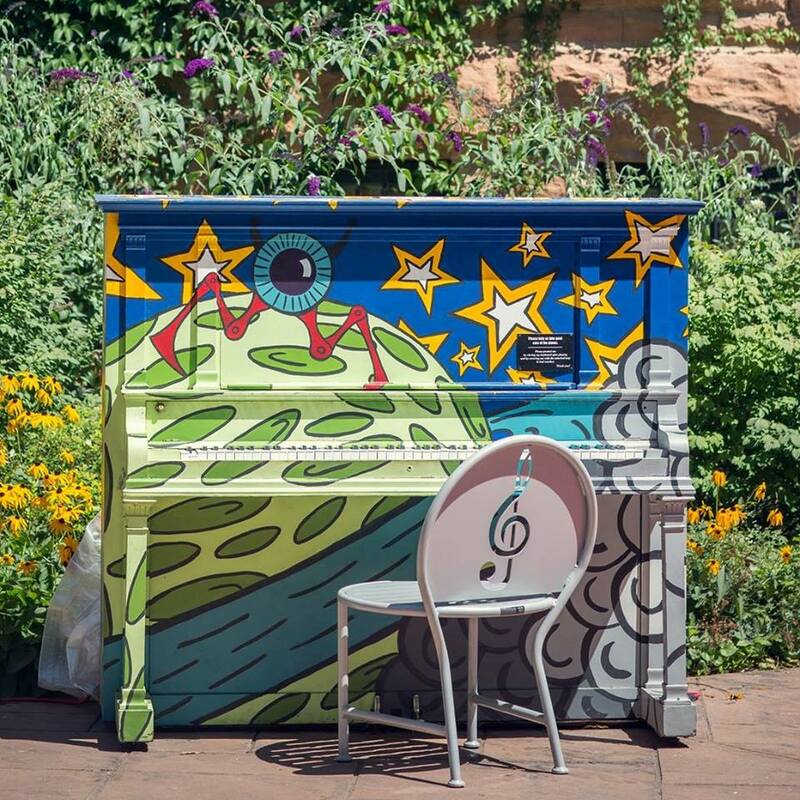 With jazzed-up pianos, painted electric transformer boxes, murals, sculptures, and pedestrian pavers, turns out there’s an incredible art scene in Fort Collins. If you’re reading this, it’s safe to assume you’re considering a move to Fort Collins. You’re doing your research; reading blogs, scouting the job and housing market, and wondering if all the hype about this amazing town is true. Well, we’re here to tell you that yes, it’s all true. 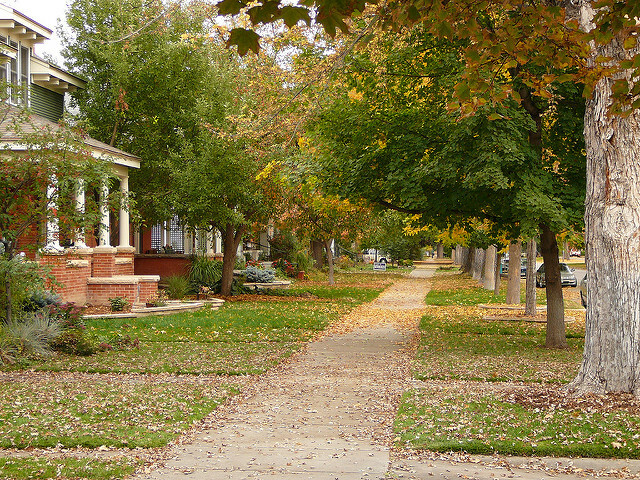 In fact, we’ll entice you more and provide our top 6 reasons to move to Fort Collins. Not only do we have the reasons to move, we also have the place to move: Confluence Fort Collins is a new downtown development that will put you in the heart of it all! It’s summertime! Fort Collins is a year-round awesome town, but summertime is a special kind of incredible in Northern Colorado. The pelicans have returned to City Park just as they do every spring and summer, the swimming pools are open, and the sound of ice cream trucks and joyful children fill the streets. Life is in bloom. Summertime in Fort Collins is bursting at the seams with fun and memorable activities. While living at Confluence Fort Collins you’ll be in the heart of it all. Many of these activities will be just beyond your front door! Live your best life this summer and cross these items off your Northern Colorado bucket list! We’ve waited all winter. It’s time to schedule a bike tune-up, because Fort Collins festival season is here! While Fort Collins boasts an incredible year-round event calendar, the summer months take the cake. Fort Collins is an epic summer playground for foodies, craft beer lovers, live music fans, and more. If you’re craving some local flavor, join us this summer for one of Fort Collins’ many bustling events. Whether your date nights are sought-after like this future Confluence couple, or you and your significant other are able to make date night a regular occasion, we’ve got the perfect activities for you. Fort Collins is home to a number of romantic and intimate spots, as well as interactive and fun places to get to know your partner better. Luckily they’re all within walking (and biking!) distance of Confluence! Art, culture, dining, dancing - you name it, Old Town Fort Collins has it. The Fort Collins nightlife offers a beautifully eclectic mix of things to do and has something for everyone. A safe and welcoming collection of walkable (or bikeable!) destinations means you’re never far from an exciting night on the town. Beer lovers, rejoice! If you’re considering relocating to Fort Collins, chances are you’ve heard a little about our beer scene. We’ve been named a top craft beer city many times over -- for good reason.